Anthony Fulton with WellCare, Tracy Smith, Dr. Erica Russell-Petty, Ellie Newberry, Sarah Scott, Magic Mark and the children of PEds Health. On last Friday, August 23, 2013 Dr. Ericka Russell Petty held a grand opening of the new PEds Health office located at 3710 Waters Ave. in Savannah. Dr. Ericka Russell-Petty saw a vision for the future of Pediatric Health Care . As a result PEds Health was born. 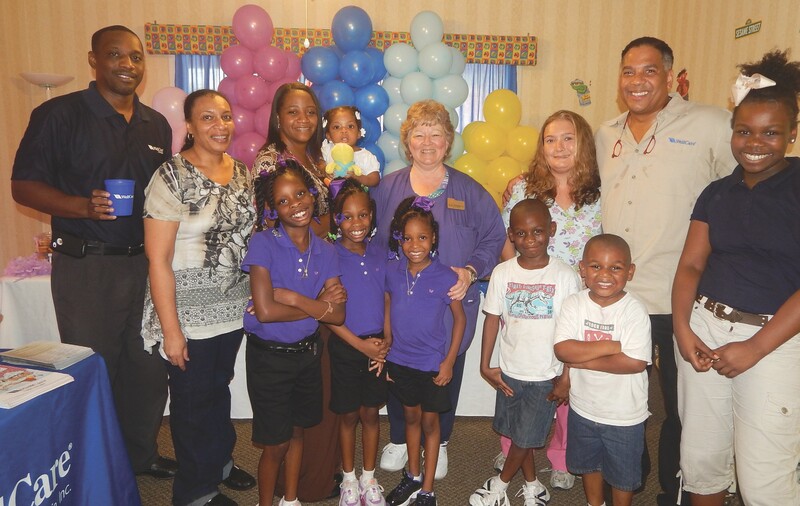 Dr Russell-Petty has been a pediatrician in the Savannah community for over 16 years. She has worked in the group setting throughout her career. Although times have changed, Dr. Petty desires to still take the time to give each patient the care he or she needs while accommodating the busy schedules of our modern community. Thus we have PEds Health. When your children are suffering from an unexpected illness or when they simply require a general medical attention, PEds Health is there with a professional team of physician, nurses and techniciansl They are equipped to handle a comprehensive range of medical conditions, routine illnesses and general medical service including well-child visits, physicals and immunization. We have a commitment to excellence when it comes to the level of care we provide. Call (912) 777-5490 for office hours and appointments.